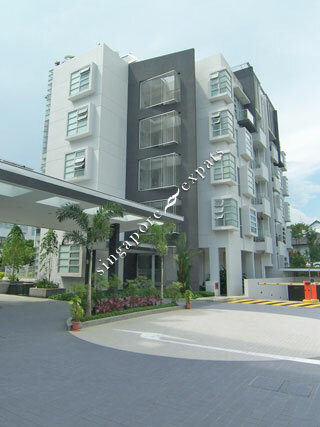 POSHGROVE EAST is located at 333, 335 EAST COAST ROAD in district 15 (Katong, Siglap, Tanjong Rhu) of Singapore. POSHGROVE EAST is a Freehold Condo development consisting of 76 units. POSHGROVE EAST is completed / TOP in 2008 (estimated), developed by POSHGROVE PTE LTD (TONG ENG GROUP OF COMPANIES). Educational institutions like CHATSWORTH INTERNATIONAL SCHOOL (EAST), GLOBAL INDIAN INTERNATIONAL SCHOOL (EAST COAST), CANADIAN INTERNATIONAL SCHOOL (TANJONG KATONG), CHIJ (KATONG) PRIMARY, TAO NAN SCHOOL and HAIG GIRLS' SCHOOL are near to POSHGROVE EAST. POSHGROVE EAST is accessible via nearby KEMBANGAN, EUNOS and PAYA LEBAR MRT Stations. Great choice of living in the East of Singapore with the beach and outdoors nearby.